Smartzer: We made the Shortlist for Decoded Fashion Futures Awards 2016! 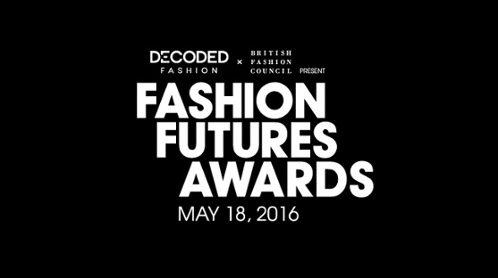 We made the Shortlist for Decoded Fashion Futures Awards 2016! We received some really exciting news this week, when we found out that we’ve been shortlisted in not just one, but two categories at this year's Decoded Fashion Futures Awards. We also had this honour last year and although we came away empty handed, we were so pleased to be a part of the event for our work with Whistles, and in addition, we got to have a really fantastic night. We feature in both the ‘Beyond The Runway’ category for the interactive runway show video we worked on with Joshua Kane, and ‘The Game Changer’ category. We are placed alongside some really great fashion brands and tech companies so it’s extremely flattering to be up against them for these awards. Considering we pride ourselves on our innovative tech and are always pushing for change in the digital space, we would absolutely love to be recognised in either (or both) of these categories. We really hope this year is more lucky for us, and we will of course keep you posted on how the night pans out in May. You can find out more about the awards and see who else has been shortlisted HERE.